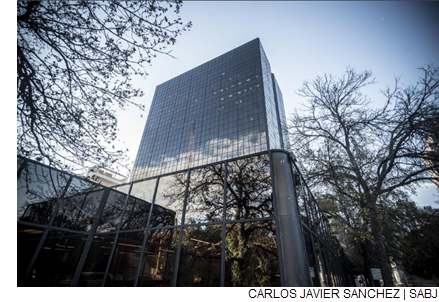 ​​ SAN ANTONIO – Pending City Council approval of a municipal incentives package, USAA plans to move as many as 2,000 workers to its downtown office towers—One Riverwalk Plaza and Bank of America Financial Services Center. The deal calls for the San Antonio-based financial services giant to expand its local workforce by as many as 1,500 new positions over five years. The municipal incentives package includes a $4 million economic development loan and a tax abatement of up to $2 million. In return for the incentives, USAA has agreed to spend at least $70 million in improvements for its two downtown buildings, including an expansion of its One Riverwalk parking garage. The tax rebate amount, which is capped at $2 million, is tied to the number of jobs USAA creates within five years. ​​Check out San Antonio-New Braunfels Office Market Research.